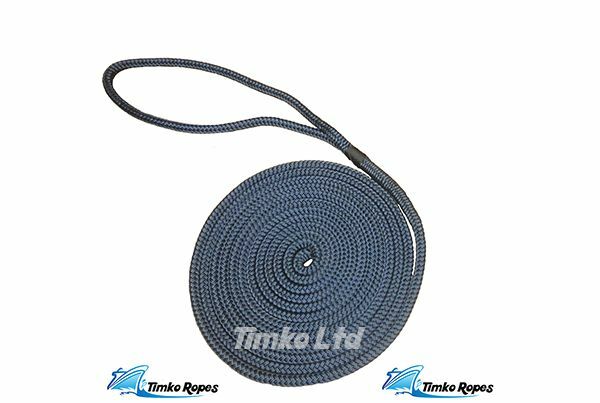 1 x 16 metre pre-spliced length of 14mm navy blue polyester braided dockline with one large soft eye hand spliced at one end approx 10" inches. Each rope is professionally spliced and then hand wipped at the throat of the splice. 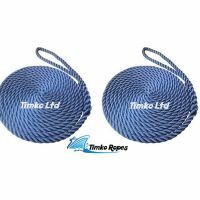 These Pre-Spliced polyester braided Dock Lines are comfortable to handle and are very strong ropes. A strong combination of braided polysoft with a 16 plait polyester cover. This dock line is both shock absorbent and abrasion resistant. 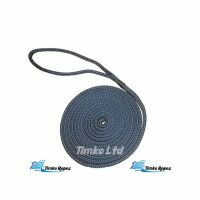 A rope with excellent properties as strength, resistance to mechanical abrasion, UV Stability & spliceability. Break load is approx 3,900kg.